On October 27, 2017 at 7 pm, a multi-awarded actor and author William Shatner will be performing live at the Welks Resort Theater in Branson. Shatner’s World is one of the best one-man shows in Branson that delivers a larger-than-life performance complete with his laugh-out-loud humor, storytelling and select musical numbers with inimitable style. Experience William Shatner’s phenomenal acts from classically trained Shakespearean actor to musical icon, brilliantly creating the most important character that he has ever played through songs, jokes and even some poignant moments. As one of the most beloved Canadian actors of all time, William Shatner got his first starring role on Star Trek. Best known for his role as Captain James T. Kirk in “Star Strek,” William Shatner is scheduled for the first time this year to perform in Branson. “Shatner’s World: We Just Live In It” is a one-man show that allows the audience to enjoy a real theatrical experience. “I like to think I’ve learned to do it properly, or better,” said Shatner, observing that he had refined his show since its debut in New York City. Up Close Concerts owner Bob Cannella told the News-Leader it took seven months of negotiation to get Shatner booked in Branson. This doesn’t mean that Shatner didn’t want to come to Branson. It’s just because he’s in demand the world over and has done so much in every type of activity in the entertainment industry. 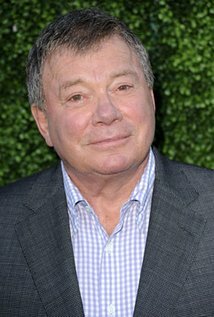 Shatner has started recently a comedic reality-travel TV show, “Better Late Than Never.” According to Nielsen data reported by Deadline Hollywood, the show netted an average of 8.1 million viewers per episode. If you are a fan of Star Trek, you’ll not want to miss out on seeing William Shatner, aka Captain Kirk as he goes on Branson stage in October. This limited one-man show in Branson is great for those who love the series or just the man himself. This limited engagement show features plenty of comedy, genuine stories, and musical numbers performed by Shatner himself. “Shatner’s World: We Just Live in It” show in Branson is a fantastic event that the entire family wants to enjoy. While gaining popularity with his acting career, he also dabbled in music and book writing. A few of his notable roles include stints on episodes of 3rd Rock from the Sun, Twilight Zone, and The Practice. He has also written novels that include an autobiography and several fantasy novels taking place in Star Trek’s world. William Shatner is jack of all trades which combines all of his talents to create a unique show in Branson. Shatner has received many awards and accolades that include Two Saturn Awards, Two Emmy Awards, Canada’s Walk of Fame, Hollywood Walk of Fame, 2005 Golden Globe, 2009 Prism Award, 2011 Governor General’s Performing Arts Award, 2014 NASA Distinguished Public Service Medal, and lastly 2015 Voice Arts Icon Award. Shatner’s World is a must-see show in Branson that brings a larger-than-life performance with humor and select musical numbers with inimitable style.